Every golf resort, big or small, requires a well-designed clubhouse equipped with function space and seating. 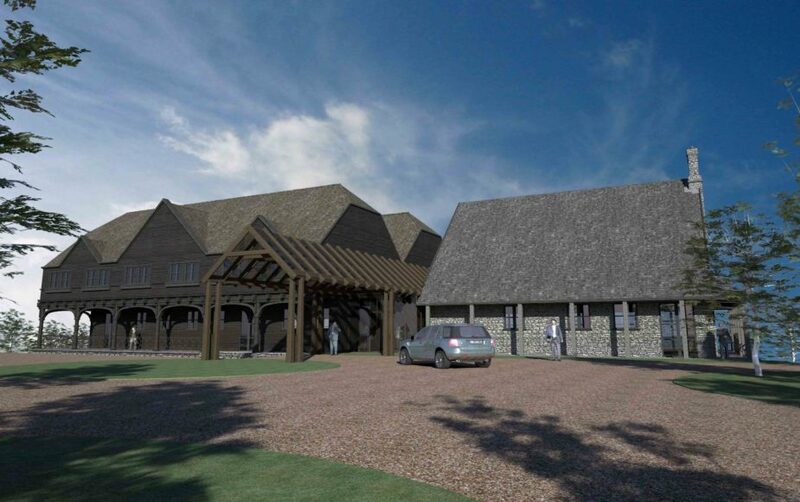 As international golf course designers, we’ve taken inspiration from hundreds of clubhouses and delivered a number of innovative projects over the years. As mentioned in our recent ‘top tips on clubhouse design’ article, there is a lot that goes into planning and designing a clubhouse. 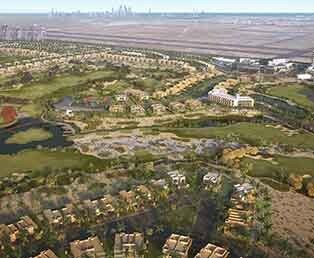 The clubhouse not only needs to reflect the personality of the course and surrounding environment, but also needs to be operationally slick, maximise the revenue possibilities and offer a great guest experience. 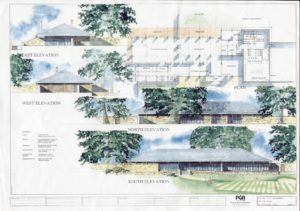 This building was initially designed as the golf academy to operate as the clubhouse in the early stages of the project. 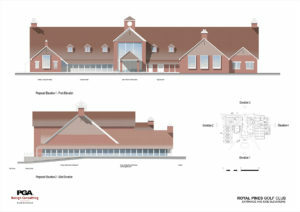 The intention was to build a much larger clubhouse in a later phase. 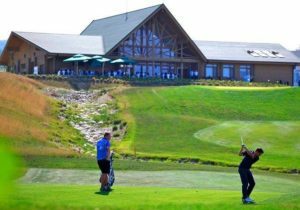 Following opening, the owners decided that the building functioned perfectly and that there was no need for such a large and expensive clubhouse. The owners brief for this project was to recreate the classic English clubhouses with a modern twist. The clubhouse boasts parking for 80 carts in the basement, 2 restaurants, 2 bars, indoor / outdoor spa facilities as well as a small amount of hotel rooms on the first floor. Services are mainly situated on the basement floor which allows for a seamless guest experience from start to finish. 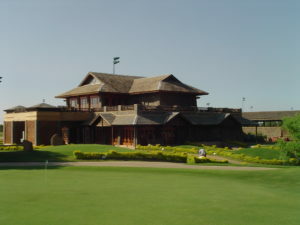 This clubhouse mirrors the style given to other buildings within the resort. IDG worked closely with Finland based log home producer, Artichouse to construct a characterful building at a very reasonable construction budget. 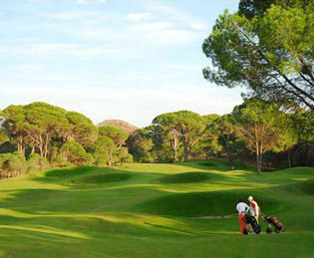 This relatively compact 550 sq m clubhouse perfectly complements the 7000 yard championship resort course. The resort hosts the bulk of its resort facilities at the Rixos Hotel including spas, conference facilities, specialist restaurants and a theme park. 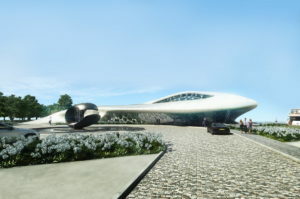 Clubhouses aren’t always for golf courses as shown by this superyacht marina clubhouse situated adjacent to the Zenith Saint Petersburg stadium in Russia. 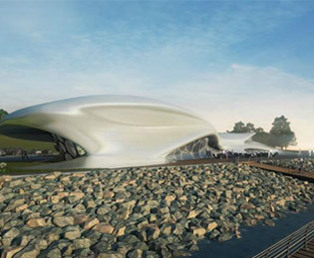 The architectural concept is formed by the prevalent wind direction and the Voronoi principle creating a unique and striking design. The clubhouse comprises a restaurant / bar, concierge services, changing/showers as well as a bar and restaurant. Second floor offices allow staff to view the entire marina. Whether it’s a clubhouse you’re looking for, or a full golf course design, we’ve got you covered. Give our team a call on 0117 971 3950 or email us at info@idgplanet.com.